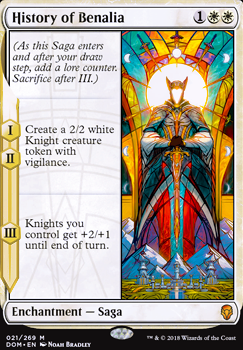 , — Create a 2/2 white Knight creature token with vigilance. 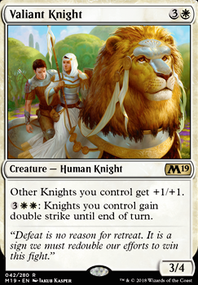 — Knights you control get +2+1 until end of turn. MrBoombastic I love playing with Aryel, Knight of Windgrace . You make a fair point with Seal Away so I made the change. Also if I was to go up to 4x History of Benalia what would you suggest I take out in it's place? I was half thinking a Midnight Reaper . As mtwoods444 suggested, I'd definitely go up to 4x History of Benalia . Most decks that have them, want to see as many as possible. Being a dedicated knights deck, you want them even more. Being dead against board wipes is true for every single creature in the deck, but History often gets to keep at least 1x 2/2 afterwards. 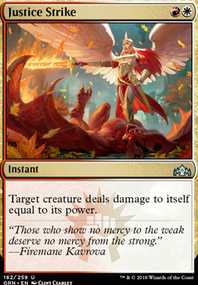 Seal Away is quite mediocre vs. something like Sultai, because they have quite a lot of main deck answers for it. There's generally a lot of strong enchantments in Standard right now. Mortify dodges the enchantment hate and hates on them itself intead. Glad to see someone actually putting Aryel, Knight of Windgrace in their knight deck. She's awesome! If budget's not an issue, I think going up to 4x History of Benalia would be beneficial. That card just provides so much value and its third chapter is bonkers in a dedicated knight deck like yours. Less important, but also have you considered putting Mortify into the main deck, maybe over Seal Away ? It's just so flexible (though more expensive). 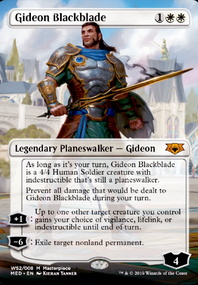 I think that in this deck you may use some Gideon, Ally of Zendikar , because the tokens that he creates are Knights, and they have sinergy with History of Benalia . 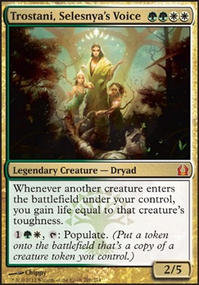 Also Gideon, Ally of Zendikar can create (with the ultimate) his emblem, that it's like a lord to your tokens. In the sideboard, I think that Sundering Growth can be a great artifact/enchantment hate card. I'm not sure how much red puts in the work in this sort of build. 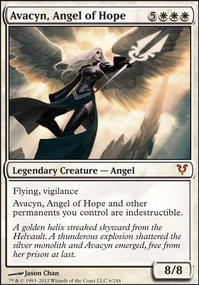 If do go for knight tribal you may want to go Orzhov.